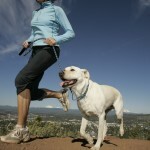 Dogs, just like humans, require daily exercise in order to remain happy, healthy, and free from boredom. Important benefits of regular activity include improved circulation, disease prevention, reduced risk of obesity, socialization, bonding, and improved behavior. According to a 2014 study led by Purdue University, about 40% of Americans walk their dogs regularly. For these 40%, and the remaining 60% who do not make it outside for a daily walk, finding a group to walk with can help break up routines or provide necessary motivation. 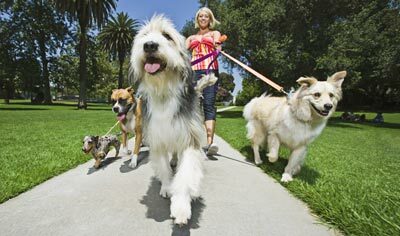 Dog walking groups can be found in nearly every city or town across the country. Breed enthusiasts, dog training facilities, local pet stores, and even animal rescue organizations organize daily, weekly, or monthly meet ups. Groups typically embark on hour-long walks along trails or bike paths, allowing dogs and humans to explore new areas of town and interact with new dogs and humans. The benefits of joining a walking group are numerous. 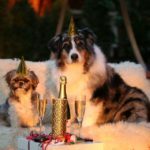 Although some pet parents crave flexibility in their day and prefer to walk when the timing is right, being part of a dog walking club can eliminate the possibility of putting off a walk indefinitely. Having a set schedule provides accountability to help motivate owners to show up at the agreed upon time and location. This is an important benefit for people living in areas of the country with poor weather, where finding the motivation to venture outside can be difficult. Dogs and humans also receive important opportunities to socialize and build networks when walking in a group. Dogs are able to experience new sights, smells, dogs, humans, and experiences, which is crucial for developing a dog’s ability to handle new and exciting situations with minimal stress. For the pet owner that is training a reactive dog, group settings provide an opportunity for training in a controlled environment, especially if the walking group is part of a dog training facility. Of course, only use this setting for as long as the dog is behaving, so as to not annoy the other walkers. 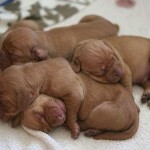 For the dog owner, walking with like-minded, dog loving people can help build social networks. Friendships, walking dates, play dates, and any number of social opportunities can arise just from meeting the owner of another dog that your pup is particularly fond of walking with. Finally, dog walking clubs provide opportunities to break up routines that may have become boring to either you or your pup. Humans and dogs alike both require mental stimulation, which can get pushed to the wayside if the same five blocks are walked each day. 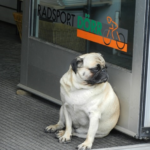 By being forced to drive to a new or different part of town for a meet up, new sights and sniffs can keep your dog engaged, busting up any boredom your pup may be experiencing. For the pet owner looking for motivation to start walking, or for the owner who walks regularly but would like to spice things up, finding a walking group has many benefits for dog and human alike. If no walking group exists in your city or town, consider starting one of your own. Surely out of the 40% of dog walking pet parents, at least a few others wouldn’t mind the company!